Yo-ho! Yo-ho! A viking's life for me! Ok, I know that's not really how the song goes, but unless I wanted to just start posting Amon Amarth lyrics, I don't know many viking songs. 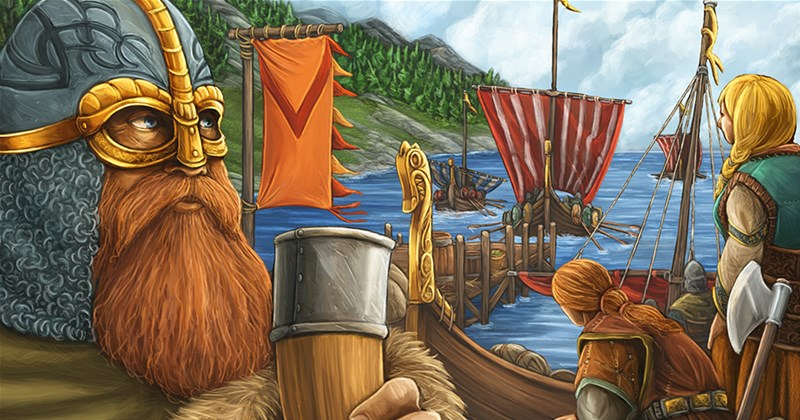 Besides, they're from Sweden, not Norway, which is where you'll be headed in the new expansion for A Feast For Odin, The Norwegians, that Z-Man Games has announced. In the realms of crafting, trade, discover, and battle, you have already proven yourself a worthy chieftain. Now it’s time to broaden your horizons, to explore and tame new lands, and to bring further wealth and glory to your tribe. The Norwegians expansion continues the epic saga of the critically-acclaimed A Feast for Odin, providing a host of new lands to discover, more wares, more animals, new challenges, and a multitude of new actions to perform. The Norwegians is available for pre-order today from our website or your local retailer.